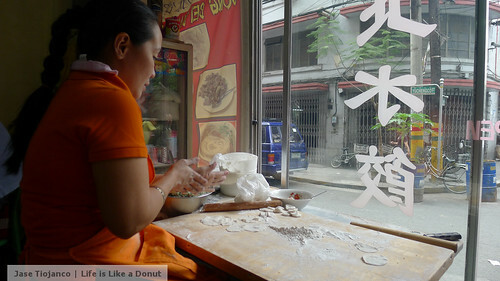 Well, Old Manila Walks offers a food tour of Manila’s very own Chinatown. 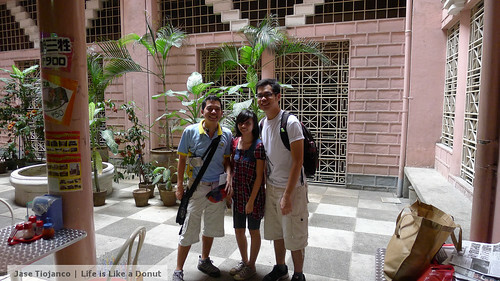 Called The Big Binondo Food Wok, it’s a walking food tour of Binondo by Ivan Man Dy. My byte (Cez) and I have been planning to join the tour since August but it was only yesterday where we finally joined the tour. The meeting time was 9AM inside Binondo Church. I was late. Congratulations! I went to a party the night before and I only had a few hours of sleep. I woke up a bit late and I had to travel to Manila all the way from Cainta. I arrived 20 minutes after the agreed upon time and they already left when I got there. I was in a state of panic when I realized that Ino was also in the same tour. I called him and he told me that they were just beside Quiapo… QUIAPO Church. I asked the lady inside Binondo Church if Quiapo Church is near by, she told me that it was quite far. I panicked some more. Good thing my common sense was still present despite my lack of sleep so I asked bystanders if there was a group of tourists that passed by. They pointed me to a little shop and thank God they were there! I had not missed a thing! YEY! I was still worried though since Cez wasn’t there yet. We walked inside a fastfood that has a staircase that leads to Cafe Mezzanine, our first food stop. Ivan discussed a little history about the origin of the Chinese Filipinos before telling us about the food that we’d be eating in that stop. The tidbits of history were really interesting! Oh, Cez arrived before the food got served so she didn’t miss anything as well. We were served Kiampong, a salted rice dish, and Fish Ball Soup. Both were simple yet delicious and they go well with the iced coffee they gave us as refreshments. 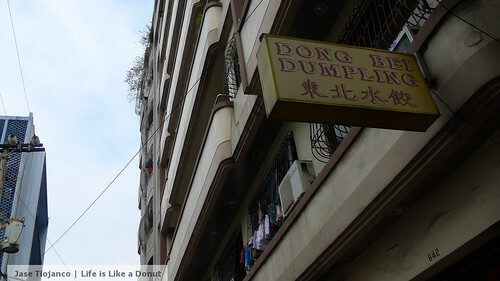 Next, we went to a hole-in-the-wall type of shop called Dong Bei Dumplings. This little shop serves the best, and I really mean the best, dumplings I have ever tasted. Everything they serve are made fresh, as in they were still making the dumplings when we arrived. We had, well, boiled dumplings and pancake dumplings. 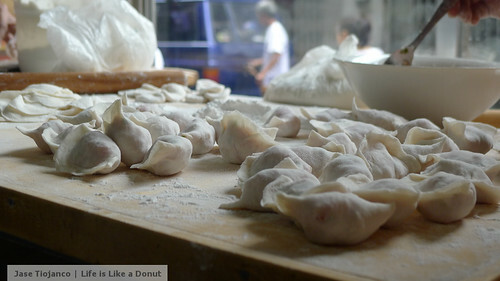 If you happen to be in Binondo, you should definitely go to Dong Bei Dumplings (Yuchengco Street). 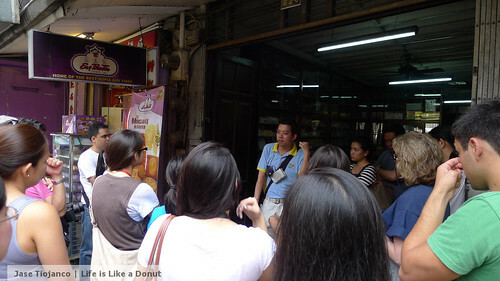 Our next stop was a shop along Benavidez St – the street intended for food shops in Binondo. I don’t know what the place is called since my attention was somewhere else that time and the signage they have is written in Chinese. Siopao and bicho bicho (I forgot the Chinese name for it!) were served to us in this stop. 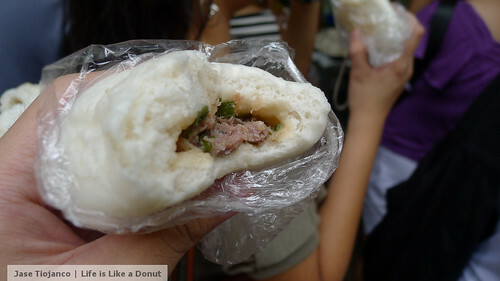 The taste of the siopao was really interesting, almost like a burger patty’s taste. 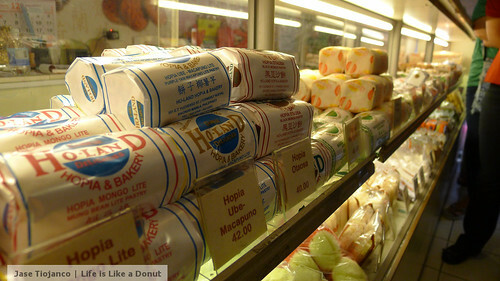 After a little siopao and bicho bicho, we went to the Holland Hopia store. After a little lecture about the good cake, we were given samples of the different flavors of hopia being sold in the store. I really loved the pineapple flavored hopia. I even bought two packs of it after the tour! 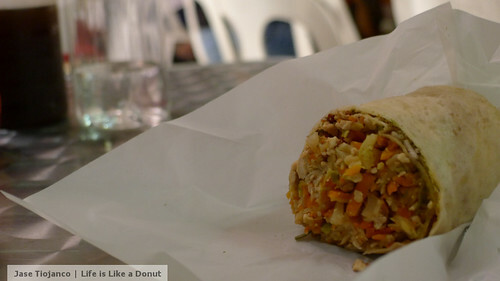 Our last stop was in a art-deco building where we had… lumpia! Fresh lumpia to be exact. Again, I forgot what the place was called but their fresh lumpia was really good. The whole Big Binondo Food Wok experience is amazing. I got to see the side of Manila that I don’t see often. 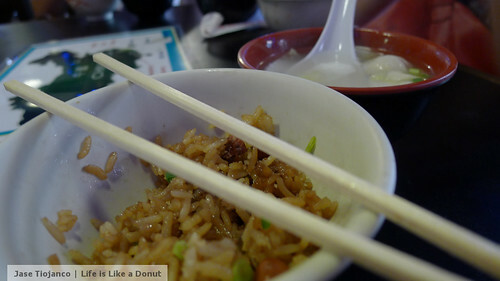 My craving for quality Chinese food has been satisfied… though after recalling the Food Wok experience, I want more! I highly recommend the food tour to everyone. Visit Old Manila Walks for more information. Oh shucks, I didn’t know that.